“Do you know, Little Red Tortoise, in one moment, I could swallow you.” Illustration by Constance Penstone. Published in Outa Karel’s Stories: South African Folk-lore (194), MacMillan and Company. Read African folk tales from Folk Stories from Southern Nigeria, Zanzibar Tales, Sanni Meterlerkamp and more. Jump to full list of African folk tales. About: Africa brought forth many rich stories of folklore to the literature world. These stories continue to fascinate audiences and are often taught in schools. The body of African folklore encompasses tales from multiple regions of Africa, including fairy tales and folk tales from South Africa, Nigeria, Rhodesia and Zanzibar. The tales from Africa aren’t just stories, they’re living pieces of history and culture to those who tell them. Many of the stories bear characteristics that belong to the region from which they came, and the authors often collected their stories by region. Noted authors of African folk tales include James Honey, Sanni Metelerkamp and Elphinstone Dayrell, all of whom released extensive collections of stories from Africa. Some of the tales were published by visitors to Africa. George W. Bateman added to African folklore when he translated tales from Swahili told by natives on Africa’s East Coast and published them in a collection entitled Zanzibar Tales. Captain Arthur Owen Vaughan collected tales when he was a soldier in Africa. Folklorist Andrew Lang also published several African folk tales in his fairy books. Animals are prominent in African folk tales, especially the monkey, elephant, lion, and giraffe, though other animals have their part as well. In the stories, animals often have human characteristics, for instance. Some of the African folk tales don’t have happy endings but instead impart a lesson. Other stories are origin stories, such as explaining why fish live in water. 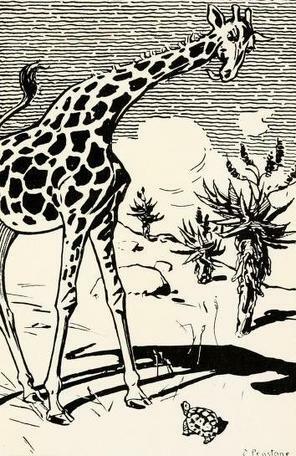 Read these folk tales from Africa to see why they’re so still so popular.